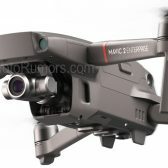 We were to have already seen an official announcement for the DJI Mavic 2 Pro drop, as it was originally scheduled to be announced on July 18, 2018. For whatever reason (rumored to be production issues), DJI delayed the announcement. It’s now rumoured that the announcement will come in September ahead of Photokina. 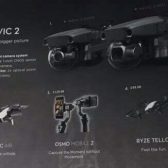 There are going to be two versions of the drone, one being the DJI Mavic 2 Pro and the other being teh DJI Mavic 2 Zoom. The zoom drone will have a 2x optical zoom of 24mm-48mm, which will used a built-in dolly zoom effect. 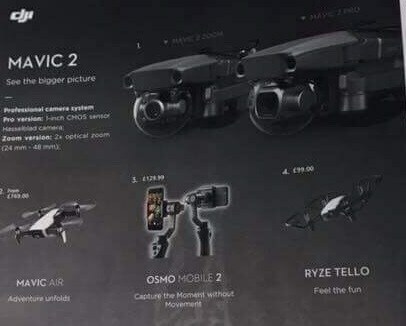 We knew earlier in July that there would be two version of the Mavic 2, thanks to these leaked photos. But thanks to Argos we have even more details about what to expect from the new DJI drones. The other big update for the Mavic Pro line will be the use of a larger 1″ CMOS sensor. I can’t wait too see what they are like. 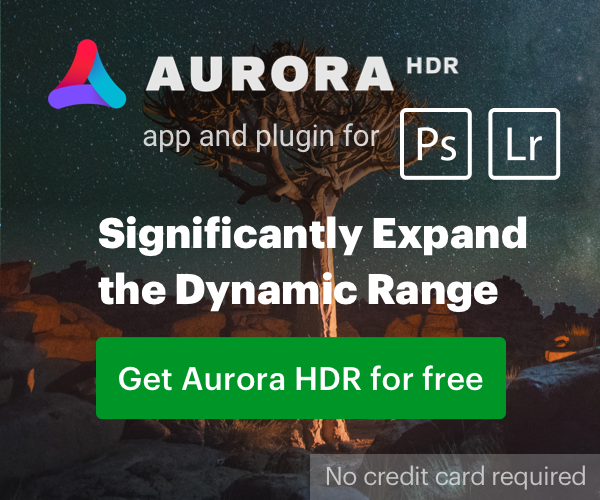 Do you guys think it will be better (image quality wise) than P4P 2.0? What about a P5 release ahead of photokina, still possible? Argos are given information about new products in advance because their catalogues are available for six months and have at least until recently been a hugely powerful force in UK retail. 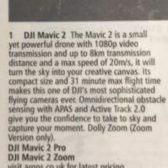 The original Mavic Pro 2 release date was before the catalogue release date, so it's understandable that DJI gave them the details to print assuming it would get released after the launch. It's not Argos' fault that the launch was delayed.